Along with one year support, get jaw-dropping resolution in a large touch display. The laptops of today come in a variety of styles and prices. Choices range from lightweight, ultra-slim models to fully ruggedized laptops like Panasonic Toughbooks. Many laptops have advanced connectivity features like Wireless G, Wireless N, Bluetooth and more for constant connectivity so you never miss a thing. Looking to take advantage of the cloud? Google Chromebooks are fast, afforable laptops and your gateway to web-based computing. Ultrabooks feature a slim form factor that don't compromise performance or security. Shop top-selling brands like Acer, Apple, HP, Lenovo, Panasonic, Sony, and Toshiba. Want to learn about all things mobility? 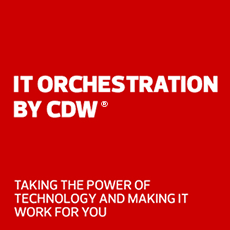 Let CDW show you how to transform your workplace with digital workspace solutions.